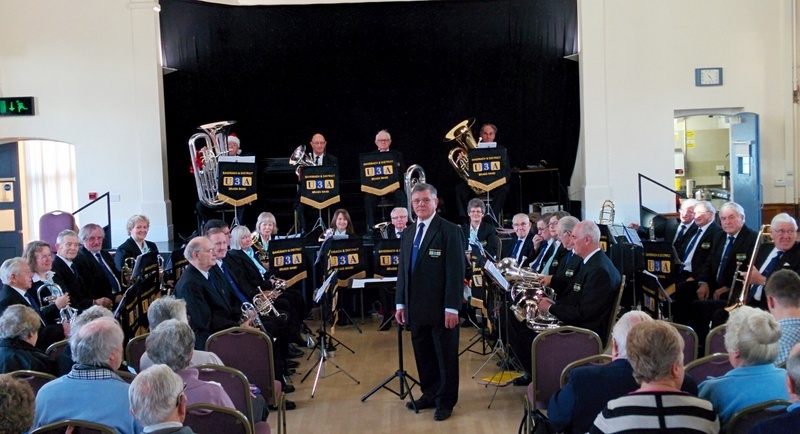 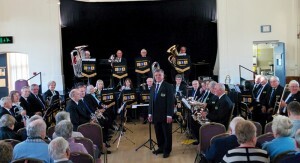 Ken Brown again brought the Sandbach U3A brass band to entertain the members at the December social morning. 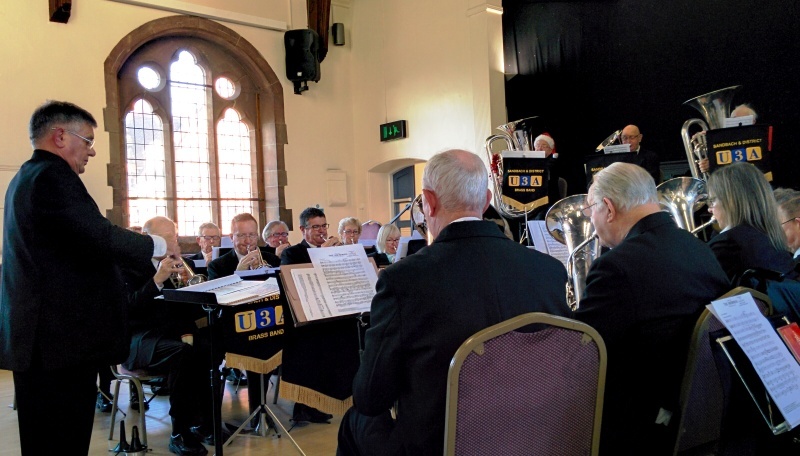 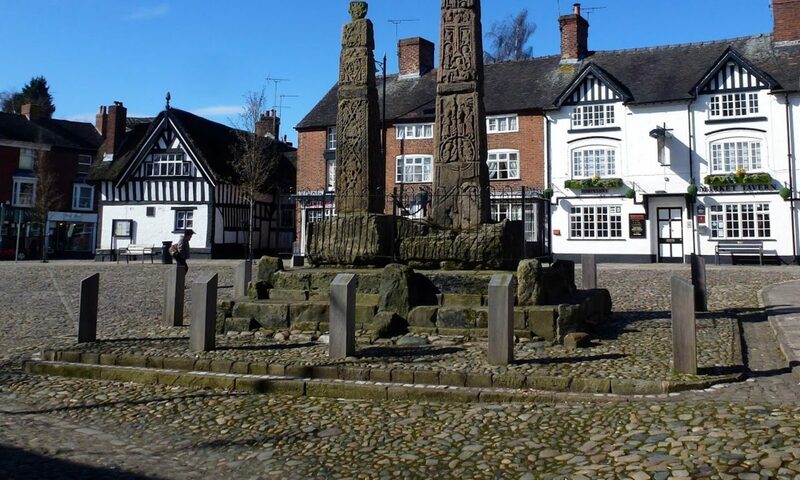 More than 130 members packed into Sandbach Town Hall expecting the usual mix of stirring marches and seasonal favourites. They weren’t disappointed and put their hearts into singing a couple of Christmas carols as well. 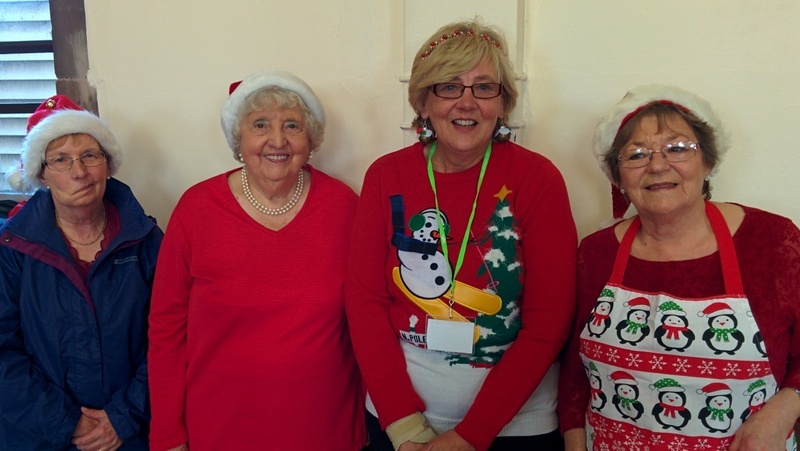 They were of course sustained by the drinks and cake supplied by Alice Holmes and her team who did their usual sterling job of serving refreshments and displaying their cheery seasonal jumpers. Grateful thanks are due to the members of the band, the tea ladies and everyone else who made it such an enjoyable morning.